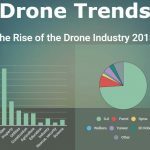 Buying a drone, people always choose reputable brands, those that occupy the leading positions on the market. One of such companies is DJI – a well-known Chinese company, offering high-quality consumers drones and accessories for sale. Nevertheless, the average battery life of DJI drones is around 30 minutes. 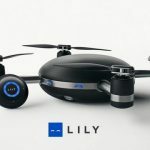 This result is really great reviewing against its competitors on the market, offering drones for sale with the average life time around 10-15 minutes. Yet still, there are such drone enthusiasts, able to build high-performance drones with the absolutely new type of battery. Right now, we are going to discuss the achievement of a Perth student – Tom Maclaurin. Tom Maclaurin doesn’t study the science; he is not the student of the engineering department. Nevertheless, this young man managed to build a super powerful drone, which has absolutely new battery type and can speed up to 65 kph. This young man is the second year law student, studying at the University of Washington. He confessed that drones are one of his hobbies. The first one he made when he was in high school. This one is his second project. This is just a hobby for this young student, but it made him popular throughout the world. The main secret of this drone is its battery. Tom managed to develop a cool battery which has a high energy density. Experts say that this particular battery can fly four times as long as any other battery, presented on the market. Right now we don’t know how this battery works and how it is built. Tom keeps this information under the seal of secrecy. Nevertheless, he is not going to stop. Now, this young man is dreaming about the development of the new battery type, which will have bigger flight times. The achievement of Mr.Maclaurin didn’t remain unnoticed. He was awarded by the UWA Business School. His achievement was regarded to be the best Student Startup of the Year. A young man was really surprised and confessed that initially, he thought that this drone would be used for agricultural purposes. These days, many farmers buy drones and start using them with the aim to crop fields or make the aerial video of their fields. Yet still, when he moved through the process of drone creation he decided that it would be great if a drone will be used by local government. In the previous articles, we discussed the possibility of using drones for rescue operations. So, this one will be a great option for this purpose! Besides, lots of people are interested in investing into the development of this startup. This young man also is not going to stop developing his engineering skills!